We are fans of challenging long held thought processes that never really had ever been challenged. Things such as do we really want to ice absolutely every injury we have? 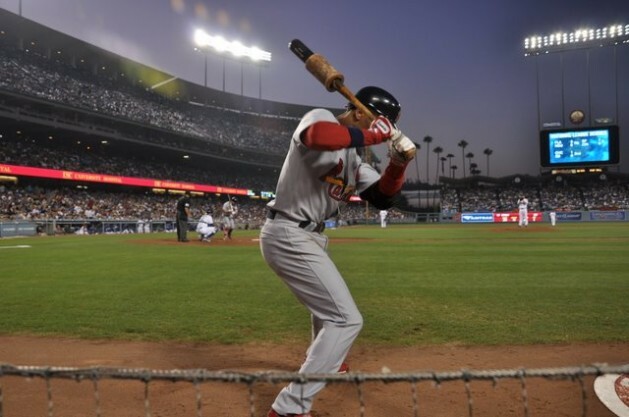 Well this study spotlight takes a look at one of the oldest held traditions in sports...warming up with a weight bat in baseball. You've likely seen or done it yourself before. Putting the donut around the baseball bat (or multiple bats), swinging through a couple times to warm up and then trying to time up the pitcher. Get your swing going with the heavy bat so you swing faster with the light bat. Makes sense right? Well kind of, see more below. Researchers randomly had each participate swing each of the differently weighted bats: light weight, normal weight and heavy weight. Each trial consisted of 5 maximal warm up swing with the bat followed by 30 seconds of rest and then 5 maximal swings of the normal weighted bat. Researchers were measuring velocity of the bat during the normal swings to gauge the best results. Researchers found that when utilizing the same swing and rest protocol using the light bat produced increased bat velocities when switching back to the normal weighted bat. This velocity was increased when compared to warming up with a normal and heavier bat under the same circumstances. The results may not be what you thought, at least not what I thought anyway. Seems to be very counter intuitive at first glance. We could dive deeper into different type of training with weight but we will stay with baseball. It appears that utilizing the protocol of swinging 5 times with a lighter bat will then increase you bat speed with the normal bat after a 30 second rest. This challenges (with science) a very long held belief you had to swing a heavier bat to increase normal bat speed velocity. It appears that is not the case and you can do it swinging lighter, getting a better result and most likely reducing risk of injury when using a heavier bat. Give it a try, see what you think and don't always accept the status quo.